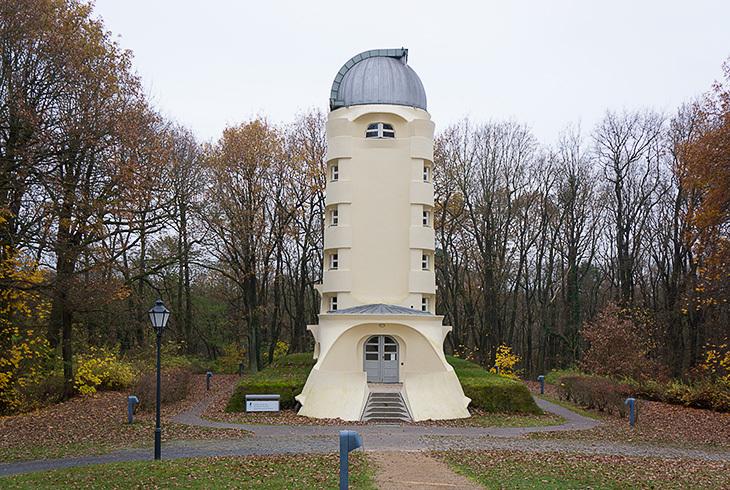 Einstein Tower (Einsteinturm), an astrophysical observatory that is part of the Albert Einstein Science Park located at Telegrafenberg, Potsdam, Southwest of Berlin. 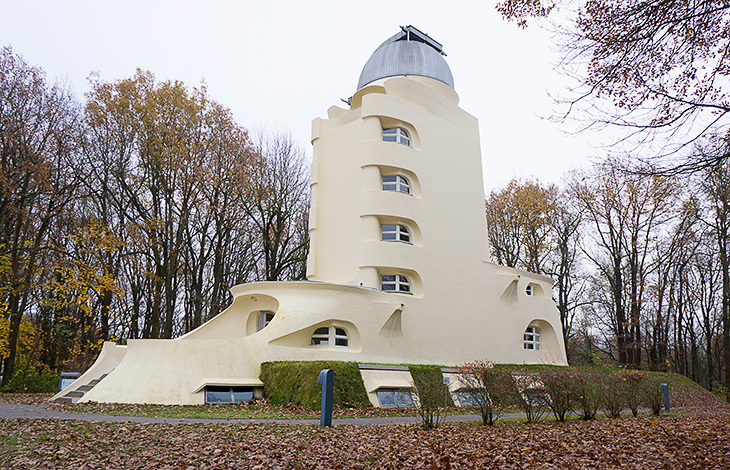 Designed by Erich Mendelsohn around 1917, constructed in the period 1920-1922 and opened in 1924. 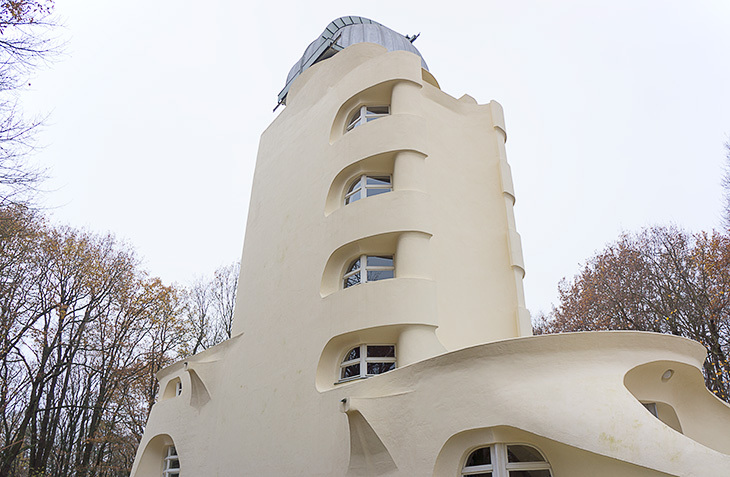 With its biomorphic sculptural and individualist form, the Einstein Tower is a prime example of expressionist architecture, a version of early-modernist architecture. 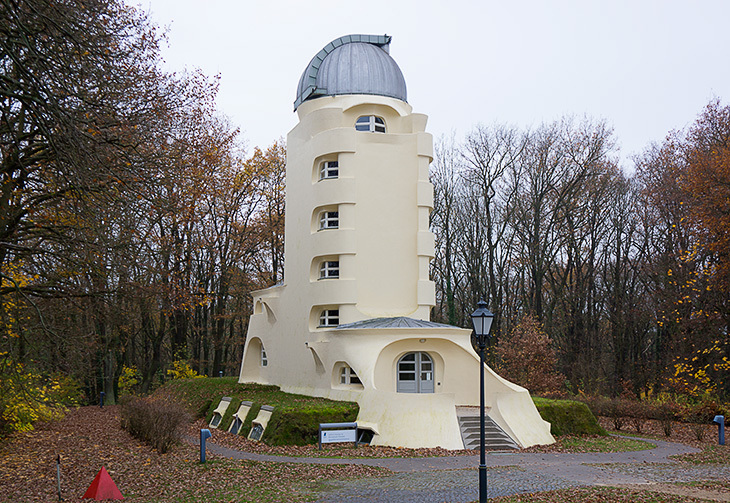 The design also contains futuristic elements. Photographed by hansen-hansen.com, 2013.